“We have met the enemy, and he is us.” These are the wise words stated in the long-running comic strip Pogo by Walt Kelly. Who knew a comic strip could drop such profound truth?! The greatest obstacle in our success is not something or someone external… our greatest obstacle is our own minds! We all have the capacity for so much, but what usually throws a metaphorical banana in our path (causing us to slip up) is our old way of being, our disempowering beliefs, and just good old-fashioned self-sabotage. The assessment may arise, “Why on earth would we sabotage ourselves? !” I want to win! I want to succeed! I’m not going to stop myself by choice!” And therein lies the crux of the situation. Our self-sabotage is hardly ever a conscious choice. Moving past our self-sabotaging tendencies requires us to do some intelligent inner work. And that’s why I brought on renowned keynote speaker, bestselling author, and master coach, Christine Hassler. How alcohol affects your sleep. What special drink is proven to help you sleep better. The common denominator in a lot of your consistent problems (hint: it’s you!). Why a big part of depression is suppression. Why it’s important to work with healthcare providers that have the same objective as you. Why many of your decisions are not made by your current self. How we create suffering in our lives by repeatedly judging our past decisions. Why acceptance is the first step to change (this is important!). How we learn through contrast. One of the major reasons we self-sabotage our progress. Why many people struggle to acknowledge and go after what they really want in life. What an expectation hangover is. What can help protect your brain from sleep deprivation. How your outer world is a reflection of your relationship to your inner-self. Why we tend to keep attracting the same type of people into our lives. Why you’ve got to become a louder voice than the voice of your limiting beliefs. How we sometimes stay in bad relationships because of our own big ego. Why it’s not our job to change other people. The difference between a positive and negative projection. How to quickly overcome feelings of jealousy and turn it into something positive. The big mistake people make when trying to identify their passion. Listen we all have goals and aspirations and things that we want to achieve in our life, but how often do we get in our own way? How often do we set ourselves up for failure? You know, sometimes this is an unconscious process. Sometimes it's even conscious, alright? And at the end of the day we need to have strategies to help us to break through because oftentimes these things are kind of hidden in plain sight. And I truly do believe that especially if you're listening to this, you're somebody who's dedicated to having an incredible life in all areas, you know? 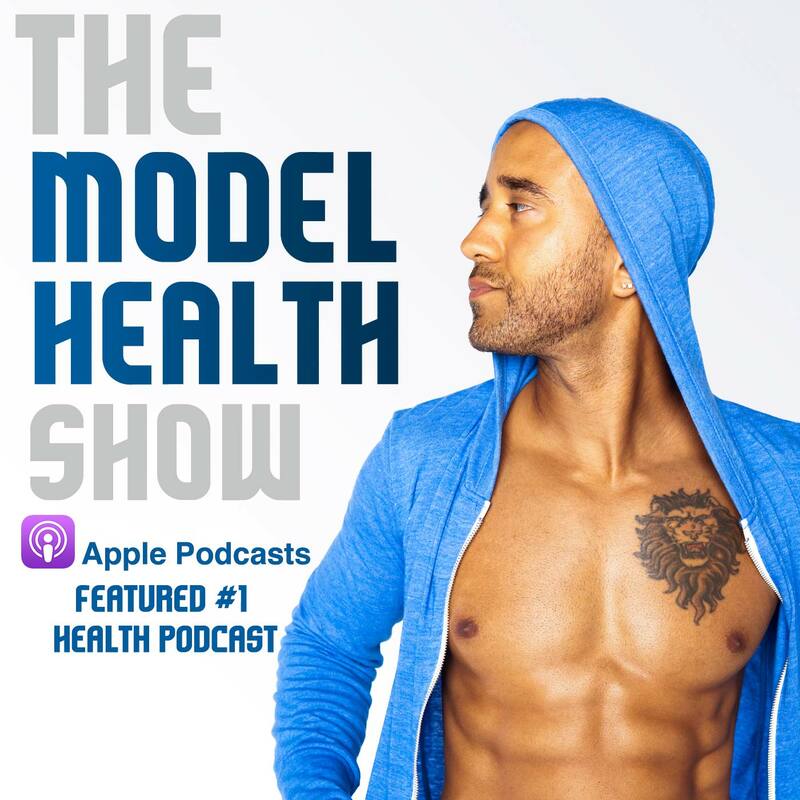 This is The Model Health Show, so we talk about health in all areas of life. You know obviously your physical health, your fitness, your mental health, your relationships, even in your finances. You know? All of that equals out to be a successful, valuable life. And so I want to make sure that you have the tools to make those breakthroughs, and we have one of the very best people in the world to help you to have that breakthrough today. She's got skills. She's so, so amazing. Before we do that though, listen I'm traveling right now, I'm out on the road, and the people that are watching this on YouTube can see the ambiance is a little different. So I'm out in California having some adventure time, and when I travel and change time zones, you know I have a certain sleep strategy- a nutritional sleep strategy. So I'm going to share part of that with you, and I'll share part of it later, alright? So be prepared. So one part has to do with my favorite- I guess we'll call it a nightcap, alright? But not one that's getting you drunk, okay? Because here's the real- and I talked about this in my book 'Sleep Smarter,' that alcohol does in fact help you to fall asleep faster. Alright? We know this. It's all good. But here's the issue is that there's something called a REM rebound effect that alcohol creates. And so when you drink alcohol before bed, this can dramatically influence your REM sleep, and REM sleep is where something called memory processing takes place. Alright this is where things that you're learning even right now get converted to your short-term memory. Alright? This is why- and I know this hasn't happened to you, but maybe one of your friends. It probably has happened to you though, but it's okay, is somebody drinks so much that they don't actually remember what happened. Right? Their memory processing was screwed up so it's just like, 'What did I do last night? What did I do? What happened?' And there's even movies about it now. You know, it's tied in, it's part of the culture and it's just like how did that happen? It's because of our REM sleep being damaged. And so I'm not saying don't drink, alright? If you want to get your sip on, it's all good, but we do want to have an alcohol curfew ideally, and to drink more water to help your body to process it. But a better nightcap, alright this is the 2018 and beyond nightcap for you is rishi, and here's why. So this was the journal 'Pharmacology Biochemistry and Behavior' found that the renowned medicinal mushroom rishi significantly decreases sleep latency. So what does that mean? This means you fall asleep faster, alright? 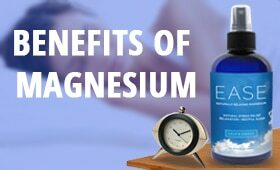 It also improved overall sleep time and it increased REM sleep and non-REM sleep which is the deep anabolic sleep. All of that from this one powerful medicinal mushroom that's been used for thousands of years, alright? But now we have the science to prove its efficacy. And so actually last night I was out at Cirque de Soleil in this incredible, incredible experience. I was like a child. I was flipping out, it was so amazing. But I was up a little late, you know? You know, but I was up a little bit later, and when I got still back to the place, I made sure to have some rishi. And oh my goodness, I sleep so well whenever I have it. It really does work. And so I want to make sure that you're taking advantage of this, but get it from a great source. Okay? You can get company X rishi and it might not do the thing. At least this way you're going to guarantee you're getting the nutrients, those specific compounds that you're looking for because it's alcohol extract and hot water extract from Four Sigmatic. www.FourSigmatic.com/model you get 15% off everything. Alright? This is exclusive, alright? Exclusive alert. So head over, check them out. Get the rishi, it's incredible. It also has some anticancer benefits, and on and on. And I love all of their stuff, but rishi is something that's part of my nutritional sleep strategy on the road. I make sure that I get that in because it really does do wonders for me personally, and also thousands of people as well. So make sure to check it out. ITunes Review: Another five star review titled, 'Take Your Life to the Next Level,' by NateTurley. 'This podcast has opened my eyes to real health and prosperity. Shawn provides accurate information with no agenda other than that of truly helping people succeed, not just in health and fitness, but in life in general. Shawn Stevenson: Alright thank you so much for leaving that review for me. I appreciate it immensely. Everybody, please pop over to iTunes and leave the reviews if you have yet to do so. It means the world to me, alright? She left her successful job as a Hollywood agent to pursue a life she could be passionate about, and for over a decade as keynote speaker, retreat facilitator, spiritual psychologist- this is really fascinating, and life coach, and host of the toprated podcast, Over It and On With It, which I was just listening to. Love it. She has been teaching and inspiring people around the world. Christine believes once we get out of our own way, we can show up to make the meaningful impact we are here to make. And I'd like to welcome to The Model Health Show, Christine Hassler. How are you doing today? Christine Hassler: I'm really excited to be here. I've been a long-time listener so being on the show is pretty cool. Shawn Stevenson: Yeah, I was saying you attracted this. Shawn Stevenson: With your greatness. So cool. So cool. So I would like to dive in- because even in your bio, Hollywood agent turned like spiritual life agent. You know? Like how did this even happen? Christine Hassler: It was not a plan at all. So I'll tell the medium size story. I moved out to Hollywood thinking I really was in love with the entertainment industry, and that's what I wanted to do. But really I moved out to Hollywood, it was with something to prove. I was really, really insecure and that came from being bullied as a kid, and having not a lot of friends, being a late bloomer, having a lot of unrequited crushes, those kinds of things. Christine Hassler: And whenever something like that happens to us, whenever we feel less than in any way, our ego has to find a way to compensate, and people do it in different ways. So this massive insecurity and self-doubt was really motivating, and Hollywood is a great place to go if you're insecure and have something to prove. Shawn Stevenson: Right, it's so true. So true. Christine Hassler: I mean, it's perfect. Christine Hassler: And so because of this drive, I was successful at a very young age, worked my way up. I was the only female in my department, was an agent by the time I was like 25 which is pretty rare and unheard of. I moved out to L.A. when I was twenty. So I kept achieving my when-then's yet it still didn't make me happy, and so the bar would have to be raised even more. And I finally one day riding up on the elevator had a mini panic attack. I had been dealing with anxiety, I was put on anti-depressants when I was eleven years old. Shawn Stevenson: Wait, we've got to unpack it. Christine Hassler: Yeah, we can bookmark that. Yeah we'll bookmark that and come back. I was still on them then, and I think I was even taking some Xanax at the time because I didn't have tools. I didn't have tools to deal with anxiety, depression, and those kinds of things. I had pills because I thought that was the tool. And I got out of the elevator, and I walked around the office, and it was an office full of like really expensive art that in my opinion was weird and ugly looking, and outside of my office was this picture of a woman who was nine months pregnant in a negligee in like a yard sale gone awry with a UFO over her spotlighting down, and that is what I looked at every day. But it was so powerful that I just had to leave, I just had to quit, and then I thought that everything would just fall into place. You know, you hear these stories about people who take a leap of faith and it turns up roses, you know? You fall on a fluffy cloud and everything's okay, and that was not the case for me. I had a long free-fall. I actually worked as a trainer, and a spin instructor, and a yoga teacher for awhile, but then in about eight months I went into tons of debt because I didn't have my Hollywood paycheck anymore. Christine Hassler: I was a stranger to my family because I got in a bad argument with my mom, who was my best friend up until that time. I had got diagnosed with an undiagnosable autoimmune disorder on top of everything else, and then I got engaged, and then six months before my wedding he broke up with me out of nowhere. Christine Hassler: And I'm sure people listening or watching have been through much worse, but for my 25 or 26-year old self at that point in my life, whose whole identity wasn't what I could achieve and what I could create and do, for it to lose everything like that was my- I called it my quarter life crisis. That was my rock bottom moment and built my first real big expectation hangover. And it was that fall that had me fall in love with personal development, because I had the awareness that the common denominator in all of these situations was me. Shawn Stevenson: Yes. Yes, most people don't have that awareness. Christine Hassler: Well I was a victim for awhile. I mean I played the 'poor me' game before awhile, but luckily I had met my first coach and spiritual teacher about three years before. And she had been telling me a lot of stuff about changes I could make, but I wasn't really listening. Christine Hassler: And I went to her and I'm like, 'Alright I'm in, what do I need to do? Because I'm miserable.' And between her, and personal growth books, and my first workshop was Landmark Forum, I just- it just consumed me. I'm like, 'I've been coming to you for years! Why didn't you tell me that?' But a good coach doesn't tell you what to do exactly, right? So that's how it all began, and then from there Shawn, it's really been - and I truly believe this - the more work I do on me, and the more I get out of my own way, the more opportunities just show up. Like whatever is in most alignment, whatever I'm 'supposed to be doing,' it really does show up. And then the ideas that I do have, and the things that I want to create, don't come from a place of trying to compensate for something. Christine Hassler: Yeah, different. It comes from a place of feeling called to do it, feeling compelled to do it. Shawn Stevenson: Oh yeah and so many people, we want that, we're looking for that. And of course we're going to dive in and break some of this down, but I want to go back and talk about the anti-depressant medications when you were eleven. Like how is that even appropriate? Christine Hassler: You know, a lot of people ask this, and I have parents that really love me and cared about me a lot, and I think back then- I mean it wasn't that long ago, but a lot has changed, the answer was pills. And I was really struggling. I think that- I think I was a very intuitive sensitive kid too, and didn't quite know how to be in the world with that, and that's just what doctors recommended. And my parents said it helped because I came out of sort of the shell that I was in. But the problem was it happened so young that developmentally it really impacted my pituitary gland, my thyroid, hormones, all of that, and also made me addicted to them, and kind of shut off my range of feeling in a lot of ways. Shawn Stevenson: Which school was that? Christine Hassler: University of Santa Monica. Shawn Stevenson: Yeah, where we're at. Christine Hassler: Yes, exactly. Yeah it's about ten minutes from here. They actually don't offer the Master's degree program, but they still offer courses if you're looking to check that out. It was then, and Mona was still coaching me then, and she's like, 'Are you ready? And I don't tell people that you shouldn't take medication, that's such an individual decision, but for me, I knew if I wanted to get where I wanted to go consciousnesswise, health-wise, I didn't want to be on them. And so it took me about a year to get off, and I've never looked back. Shawn Stevenson: Yeah, I'm very proud of you for that. Shawn Stevenson: Because it's not just something that you can just do, you know? Especially that amount of time. Shawn Stevenson: And you know, working with people in the clinical setting, like it's one of the most difficult things to deal with is like anti-depressant medication and thyroid medication because your body's become so dependent on it. Shawn Stevenson: But the whole concept of like we're talking to a kid, right? Or a grown person as well, and just like you have this set of symptoms you're telling me. Based on that conversation, I'll give you a drug because you have a chemical imbalance. Shawn Stevenson: How do I know? Shawn Stevenson: Right? You know, it's just really fascinating. Christine Hassler: It is really fascinating, and I think that if I had had access to people that were a little more in the esoteric world that could see I was really sensitive and intuitive. Christine Hassler: Yeah, there you go. And so there was- I mean obviously there was a connection to shutting down this whole area, and in my journey moving forward as I've healed it, like I found great gifts in it, and a lot of people come to me who suffer from depression and anxiety because I found a way through it. And a big part of it was learning how to release and feel feelings, because I think for so many people, depression is suppression. It's either suppressing creativity. You know, I know so many people that were like super, super creative and were born into a family that was more logical, and they suffer from depression as adults, or are highly emotional and highly sensitive and have to repress all of that. So that part is a big part of it as well. But I really do believe that if you feel called to get off of them you can, but you can't do it on your own. Like it requires a team. Shawn Stevenson: With a physician for sure. And also you have to- and this is something I also point people to, is if there's something you want to do, you have an objective with your health, and the people that you're working with don't have that same objective or they're telling you it's not possible, find somebody else. Christine Hassler: Find somebody else! Shawn Stevenson: You know, it's really that simple. Christine Hassler: It is because I remember going to neurologists and doctors in my twenties and them being like, 'Yeah, you're not really going to be able to ever get off of these.' And I stopped going because one of the big hurdles I had to get over was the seed that was planted that there was something wrong with me. And I think that's a big one for a lot of people. Like if you had anything growing up, you had a health thing, or bullying, or a parent that was critical, man that forms a neural net in your brain about, 'There's something wrong with me,' and that is so important to shift so your body can get on board. Because if I believed something was wrong with me and I had a chemical imbalance, there was no way I could have gotten off of them. I had to believe that I could heal and that nothing was wrong with me. Shawn Stevenson: Right, it starts there. Shawn Stevenson: And I want to talk about this now actually, that neural net that gets created, because a lot of times today we're not making decisions with the person we believe ourselves to be now. It's something else from the past making decisions. Shawn Stevenson: Let's talk about that. Christine Hassler: Exactly. So I think it's about only 5% of our behavior and actions is consciously driven, which means that 90% is subconscious / unconscious. Like it's old programming, our default patterning, and that got wired during times when maybe we were scared, or maybe we were criticized, and a lot of us have just adopted belief systems from our parents. You've heard a lot of those things and you saw your parents struggle, so you've got a neural net in there that it's hard to make money, you have to work really, really hard to make money, so I guess if you had that neural net you probably aren't thriving financially, because that's the programming that it goes to. And I liken it to like if you had a house in the middle of a super weedy field, like there were weeds, and rocks, and there was no clear path, and you wanted to drive a truck to that house. At first it would be bumpy, but if you drove the same truck down the same path day after day, a groove would form and that's how repetitive thoughts in the brain are. They just form these grooves, so you just default to that path, and if you want to form a new path, if you want to drive that truck off that groove, you've got to really focus to get it off to form those new neural nets in our brain. Shawn Stevenson: Yeah, that's so fascinating. That's something I've been talking about a long time as well, is just the more- especially the more you believe it, the more you repeat it, the more you do a certain- live accordingly, you're laying down more and more myelin and creating an even more powerful channel that automatically pops up. So basically a lot of the choices we're making today, like you're making the choice the food that you're eating, or the relationship you choose, it's not yourself now. This is like- it could be your sixteen year old heartbroken self making that choice. Christine Hassler: Yeah, exactly. Exactly, and I think the other important part of deprogramming these neural nets, and that's why I love the whole- and I know you're super holistic, too. It's the emotional, mental, behavioral, and spiritual. We need all of it working together, and to deprogram some of those neural nets, sometimes you've got to back to that sixteen year old who got her heart broken, or his heart broken, and tell them, 'Cry your tears. What do you need to say? You didn't do anything wrong. It wasn't your fault.' Like we need to go back and heal that. You know, one of the things we learned at my grad school was healing is the application of love to the places inside that hurt. And I love that. Healing is the application of love to the places inside that hurt. So we have to be willing to go back to those difficult times, not to talk about them in therapy for years, and years, and years, but to go back and be with ourselves in a different way during those times. Christine Hassler: And something I coach so much to my clients and on the podcast is a big part of our healing and reprogramming those neural nets is finding the voice of our own inner parent, and re-parenting ourselves in that loving unconditional way. Because we all have that three year old, five year old, sixteen year old, twelve year old inside who is sometimes making choices. It's why a lot of people, when they're out dating or in relationships, their thirty year old self isn't picking the person. Their twelve year old self or their six year old self is, and that doesn't turn out so well. Shawn Stevenson: Right and that's why you'll repeat similar relationships as well. Christine Hassler: Exactly, you date the same person with a different face over, and over, and over again. Shawn Stevenson: That's incredible insight, and something else there, is I think that a lot of our suffering is like looking back on our old self with this updated knowledge and judging ourselves. Shawn Stevenson: And I just did a show recently about self-love, and this is one of the big ingredients, is like looking at yourself from a place- because this is why we don't think that much of ourselves, because we know our weaknesses. We know the negative things that have happened that we've done, but if we can look back with that- what you talked about, more compassionate attitude, and also a forgiving attitude for the mistakes that we've made or mistakes that we've allowed to happen to us in many cases. Christine Hassler: I'm so glad you're saying this, because this is one of my big things with people, is regret is taking information you know now, and going back into the past when you didn't have it, and judging yourself based on current day knowledge is completely unfair to do to ourselves. And a lot of us have it wired that being hard on ourselves is effective because it motivates us. A lot of us have, 'Well I need to go back and pick myself apart so I can grow.' And so we combine self-criticism with personal growth, and they just end up canceling each other out because anything we judge doesn't heal. And compassion, if we break up the word. Co means 'with,' passion actually means suffering. That's the original definition. And people will really fight for, 'No I didn't. That was a mistake, I could have done better.' Like you really did the best you could at the time, so you've got to forgive yourself, and then do a prevention plan moving forward. You know, what are the lessons that you learned? But when we go back with that inner critic, oh man Shawn, it just reinforces the wound because then not only do we have to experience it then, but we're going back now and criticizing ourselves for it, and the mind doesn't know time. So the mind doesn't know the difference between reality and a well-imagined thought. So it's just like you're picking the same scab over, and over, and over again by going back and judging yourself for it. Shawn Stevenson: Oh my goodness. I want to talk about- now that we know that, and we can utilize that kind of tactic, what do we do now? And I want to shift gears and talk about that, because I think the first thing is probably - but there might be something else for you to add here - is to be honest about what we want and to get really clear on that so we can start to move in that direction. Christine Hassler: Yes. Yes, being honest about what we want, but I want to back up a step because I think there's something before that, which is accepting what is. Totally accepting who you are, where you are, what has happened, what hasn't happened, and by accepting I don't mean you have to like it, or that you resign and go, 'Oh this is just the way it is. I'm going to be broke forever, or single forever, or not like my body forever,' or whatever. Not saying that at all. But when we're constantly like not liking where we are right now, and we're fighting with reality, or we can't believe someone did that to us, or we're still mad at our parents, or whatever it is, then we just have an uphill battle. And we can maybe set goals, and get clear about what we want, but if we don't accept where we are now, then what we want might be skewed by wanting to get out of our current reality. So it's more from desperation, it's more from a place of pain. So we always want to be clear about our come from, and if we really accept where I am right now, what can I learn, and what do I need right now, then the what I want next becomes more clear. When we're in that place of acceptance, it kind of looks like, 'Okay here are the things in my life that are going well. Here are the things that I would like to change.' And not from a place of judgment, from a place of observation. So in 'Expectation Hangover' on the behavioral level, I have people take on the role of the observer. Stop being such a judger of yourself and just observe your life. Like look at your reactions to things. Look at the way you respond to people. Look at what you eat during the day or how you exercise or whatever, and see how it feels. Like look at how you're doing in your current life and then start to make changes from there. And then we can start to look at what we want from a place of high involvement but with low attachment, because the 'what I want' thing can become tricky when our self-worth, our happiness, our joy is attached to that. Christine Hassler: So focus on how you want to feel versus the form you want. Does that make sense? Christine Hassler: Like focus on your desires- I love Danielle LaPorte's work because she always talks about like you're chasing a feeling, not an actual thing. So focus on the feeling that you want, what you want to create in the world rather than, 'I want this job, or I want this relationship, or I want this whatever it may be,' and really be open to the package that it comes in. Christine Hassler: Because when we're super attached, sometimes we can also slow things down a lot. Shawn Stevenson: You know, when you said that this was something we need to do is the acceptance part, I immediately thought about the when-then, and how that would bleed into it. Not being able to accept what is, and to find- not necessarily that you have to be happy about the circumstances, but a level of understanding. And if you're kind to the current you, the future you is going to be easier to create, but we can't create a great future self if we're constantly beating up on our present day self. You can't love your future self more than you love your present self, because that implies that something is wrong with you right now in this moment. So if you can accept your circumstances, accept the people around you, accept yourself and really forgive - forgive yourself, forgive others. A lot of people, including me, to really swallow is everybody's doing the best they can, you know? Like I just came out of a bad situation with a landlord, and from my lens she was not doing her best, you know? Shawn Stevenson: You know, this is getting me thinking about just the idea of acceptance and how valuable that is, because I think a lot of our suffering comes from not accepting what is. Shawn Stevenson: And we've just put ourselves through this- you know things are going to go through tough spots. Christine Hassler: Yup, it's life. Christine Hassler: You know Shawn, like pain is not- as humans we're going to experience it. We learn through contrast, and that's another thing I think in the personal development world that leaves a lot of people with an expectation hangover. They think it's like supposed to be positive all the time, and if you have bad things happen, or you feel sad or whatever, then you're failing at personal growth. And you're not. Like we learn through contrast, and there's going to be challenges in life, and there's going to be some pain, but the more tools you have, the shorter the duration you have to suffer in it, and the longer the time between those painful spots. But we can't expect to like never feel down, and never have challenges, and when they come know that it's a season, and know that it's an opportunity to dive in. I don't know about you, but it's been through my most challenging times that I've grown the most. Has it been painful? Has it been hard? Yes! Do I want to go back and do them over? No. I mentioned that the original definition of passion is suffering, and isn't it cool how we've evolved that word to mean the thing we love? And often the things that we love come out of our suffering. Christine Hassler: I love that! Shawn Stevenson: But really, I mean for me, this is such a great opportunity for us to give ourselves permission to not be perfect. This is one of the reasons I wanted to have you on was to bring up this conversation, because as you're working on this and changing your body, and changing your health, things are going to happen and that's okay. If you do something that doesn't meet your blueprint of what's supposed to happen, it's okay because this is not about being perfect. Every single successful person you know has problems. They make decisions that can mess things up, and that's okay. Christine Hassler: Well and here's the thing too, your soul, your inner self, whatever we want to call it is craving your love. Love craving your love and craving your compassion, and sometimes we are so lacking in self-love that unconsciously we set up sabotage. We set up like a downfall because it's like our soul trying to get our attention. Like how bad does it need to get for you to pay attention to me? How bad does it need to get for you to be compassionate to me? How bad does it need to get for you to actually do self-care? And it's like we test ourselves in terms of the degree of which we trust ourselves, the degree to which we keep our word with ourselves, and it's in those moments where you do mess up where it's your opportunity to form a new neural net to relate to yourself differently. Because you have to start having a different relationship to failure, and having a different relationship to so-called mistakes, and when you don't get it right, or when you're not perfect. Shawn Stevenson: Just that simple thing, it's so powerful. And I love that tool because there's something about looking at ourselves as a child, and just feeding into that original innocence, and knowing that he or she is still in there, and for me that's a great tool to soften that voice. Shawn Stevenson: That's so powerful. You know what's crazy, is that whenever I do see these particular pictures of me like around two years old, I'm just like, 'This kid deserves to be loved.' You know? And I immediately feel like this parenting feeling, right? But that's me! Christine Hassler: Yeah, that's you. Shawn Stevenson: Why are you bringing this stuff out here? Okay so next I want to talk about- okay so the acceptance of what is. Now I feel that - and I know you've seen this many times - that because of our programming, these neural nets, we don't often- even when we want to change our lives, we're not honest about truly being forthcoming about what we really want. Christine Hassler: Because we don't think we deserve it, we don't think we're enough, or we think it might upset other people, or we're afraid of not being able to do it. And so I think there's a lot of reasons. A lot of times for people who have- I call them compensatory strategies, so mine was the over-achiever, those things that we do to make us feel safe, or validate, or compensate for where we feel less than. A lot of people who are people pleasers often don't go after what they want for fear of what other people will think, for fear of upsetting other people. You know, their life is so oriented to making sure everybody else is happy and being more of a giver than a receiver, so their self-worth is often very low so they don't think that they deserve it. So there's a lot of way we get in our own way on that one. Shawn Stevenson: I want to dive in a little bit deeper on this one. Before we do that, I want to jump back really quickly and talk about something you said a couple of times, the expectation hangover. Let's define what that is. Shawn Stevenson: And how this kind of plays into this as well. Christine Hassler: So I made up the term, which is probably good we're defining it. It's when one of three things happen. Either something doesn't go according to plan, and you're disappointed. Like you didn't get the job, you end up getting divorced, whatever- someone breaks up with you. Or something does go according to plan but you don't feel like you thought you would. Like my job in Hollywood reached a certain point and not being happy. Or life just throws you an unexpected curveball. You know, you get diagnosed with an illness, you get laid off. Like something undesirable that you didn't see coming that throws off your sense of certainty, safety, and control, which is like a universal two by four. And you're left with like hangover-like symptoms. Like you want to get out of it, it feels awful, your head is spinning from all the thoughts, and the thinking, and the fear of uncertainty. It's just a terrible, terrible feeling because the thing about an expectation hangover is we don't have certainty, and a well of emotion comes up. And we're in chaos because anytime we have an expectation hangover, there's some kind of transition happening. There's some kind of ending, there's some kind of blow to our ego or our sense of security, and we're in that uncertain period which for the human psyche is incredibly challenging. And when we're in those, what most people tend to do is want to get out of them as quickly as possible, and they use ineffective coping strategies like numbing. Overeating, over-drinking, over-gaming, over-social media, over-working. Working is one of the kind of acceptable ones. Or, 'Be strong. I'm going to be strong. Be strong, I'm going to push through, and look how strong I am.' That's another one that doesn't work. Or the pep talk, just the positive pep talk kind of thing. Christine Hassler: And those kind of get you a little bit through, but it's like putting a Band-Aid on a broken arm, it doesn't really heal it. And that's really why I wrote the book, is because from my own life and working with thousands of people at this point, there's such healing that can happen in an expectation hangover because- let's just use like if you got broken up with. It's not the first time your heart's been broken. Like it's pushing a button that goes back to maybe when your dad left the family when you were five, or something like that. And it's in those moments where we can really dive in, and go into the feelings, and heal emotionally, mentally, behaviorally, and spiritually. Shawn Stevenson: Wow, oh my goodness. You know, I love that 'expectation hangover.' Brilliant. Another type of hangover I want to talk about really quickly has to do with sleep deprivation hangover, alright? We've all experienced it, it doesn't feel good, not really feeling your best. I've been so sleep deprived at times where I've felt like I'm Patrick Swayze in Ghost. Alright? I felt like I wasn't quite there. And part of my strategy, and I shared a little bit in the beginning, so my nutritional strategy when I travel, and this one is something you do beforehand, when you know the sleep deprivation is coming, and it can really do wonders. And so this study was published in June, 2006 in an issue of 'Life Enhancement,' and scientists looked to see what this compound found in turmeric, which is called curcumin, can do to help with sleep deprivation. And so they kept mice awake for 72 hours, alright? That's a long time. I don't know anybody who's gone through that kind of sleep deprivation, but again, symptoms of sleep deprivation which is impaired motor function, memory dysfunction, and even depression. And so here's what they found. The group that received the curcumin treatment before- again this is before the sleep deprivation, were protected from some significant issues that happen when you're sleep deprived. Mainly anxiety-like behavior, and oxidative stress caused by lack of sleep. So literally aging you faster, alright? By taking advantage- and this is something, again I knew I was going to be up late yesterday, so I had some extra daily turmeric from Organifi, alright? And the reason I love it so much, is number one it's a super critical extract, but also they have an added component, and I'm so happy they added this in. They probably added this because I said something, but an extract of black pepper. So black pepper is a biopotentiator for the compounds in turmeric. This is why it's used traditionally together because it makes it up to ten times more effective. Alright? So having that together in those little capsules is awesome. So I'll generally have that- if I know I'm going to be stressed, if I know I'm traveling, if I know that we might be up late for this or that, I make sure to add in some extra daily turmeric, and I advise you to do the same thing. It's just a great supplement to have period because of its incredible anti-angiogenesis properties. So turmeric has been found to help to prevent the blood supply- or blood flow of nutrients getting cancer cells, alright? How powerful is that? Alright? So just something else to add to the mix. Go to www.Organifi.com/model. That's www.Organifi.com/model for 20% off- you get a dub percent off. Head over there, check them out. Of course I love their green drink, red drink, all that good stuff there. But the daily turmeric is part of my sleep strategy when I'm traveling. Alright so let's jump back and talk a little bit about- again when we're getting face-toface with some of these things that are preventing us from actually deciding what we want, you mentioned that there's this bit tie-in with the expectation hangover. Shawn Stevenson: But we tend to turn and revert back to relationships that tend to kind of keep us in a state of stress or in a state of unhappiness. Why do we do that? Christine Hassler: Well our outside world is a reflection of our relationship with our inner self. So if I have a crappy relationship with my inner self, if I'm judgmental of myself, hard on myself, not supporting myself, not lifting myself up, flaking on myself, breaking my word with myself, then going out and attracting a crew of people who are really supportive, and really loving, and positively reinforcing me, and have integrity is more challenging because I'm not vibing at that level. Shawn Stevenson: Yeah, that's interesting. Christine Hassler: And so that's why we tend to stay in those more toxic relationships, and often they're familiar. So if you- again, if you grew up in a- let's say you grew up in a family where you had one parent who was incredibly critical of you, then you're going to be kind of drawn to people that are more critical of you. Shawn Stevenson: Is that like an addiction of some sort? Christine Hassler: Well so as a kid, like we love our parents. Like we come into this world, and they're like our God, right? And so we pair love with however they love us. And so we think that that kind of criticism is familial. It's familiar and familial. And then the other part of it is whatever we didn't get from our parents, we go and look for as adults from people who are the same. So how we stop doing all that is again, we go back and deal with the pain around having a critical parent, and feel our feelings about that, forgive them. We don't have to call them up and be like, 'I forgive you.' You can if you want, but it's more you forgive the judgment you're holding. And when we can do that, when we can forgive the judgment that we have against anyone else, and we can go back and heal the pain, and then re-parent ourselves, and be that loving parent to ourselves, then we stop looking for that outside. We stop looking for someone else to save us, someone else to solve it for us. We solve it ourselves and then we can up-level the kind of people that we're attracted to. Did that whole arc make sense? I kind of like broke it down in a short little way. But yeah, so back to the original question about if you want a higher vibe tribe, it's two things; look at what's going on inside of you because it's just a reflection, and then boundaries. Like you can't say, 'I want to be around positive people,' and continue to let negative people, toxic people, people that lie to you, people that break their word with you get away with it. You have to start drawing some boundaries. And it's amazing how much people will hold onto the known just because like they're afraid to let go, they're afraid of that in-between, of that gap, when you can- something so amazing might be ahead of you, but you've got to let go of what's holding you back, and know that there's like that in-between period, and not be scared of that. Shawn Stevenson: Yeah. You know opening the show I mentioned a little bit about getting out of our own way, right? And I think that a lot of this stuff is self-inflicted, but of course it's very unconscious. Sometimes it is conscious like, 'Things are going well. Let me do something to mess this up.' You know? And going back on this particular instance, because I think that- and I know you feel the same way, that our relationships are an incredibly powerful influence on every area of our lives. Shawn Stevenson: And I feel it's like the number one thing for our health is actually our relationships. But I don't think that we often realize how - and I used this word earlier - how addicted we can be to things going bad. And I know it sounds crazy, but it's just like when you start to get outside of that kind of standard kind of comfort zone of just things not being ideal in your life, and you start to like- things start going well, we'll do things to get us back to where we feel comfortable. Shawn Stevenson: Like we get addicted to bad relationships as well. And we're so afraid of losing a good thing that we'll sabotage it first before like it can be taken away, or it can go wrong, we'll just sabotage it first because on some level we don't think we're worth it. And it's funny, like I was opening a Mastermind for a friend of mine last weekend, and it was a business Mastermind but we were talking about like what's the personal obstacle that's going to keep you from getting to the next level of your business? And sometimes we've really got to look at our beliefs and call B.S. on them and go, 'Why would I be any less deserving than anybody else? That's not the way the universe works.' It's just our mind getting in the way, and so we have got to become a louder voice than the voice of our limiting beliefs. Shawn Stevenson: Wow, that is powerful. You know, something I was just talking about this actually with my wife yesterday who's over there looking pretty and absorbing everything. Christine Hassler: She is very pretty. Physically and energetically she's very, very lovely. Shawn Stevenson: So something that she really realized is that dealing with relationships that she had where friends who weren't like progressive or that were doing things that were kind of just shady stuff, and just things that she just didn't really feel good about. But she kept dealing with it over, and over, and over again, and then she realized that this was actually her. It was her ego like, 'I'm supposed to be the friend who's solving your problems.' Right? Talk about that. And one of the side effects of personal growth and raising our consciousness and our health is not everybody is going to come along. Not everybody is going to come along and you have to be willing to let some people and some relationships go and know it's not your responsibility to go and care-take. Because that can be another compensatory strategy is, 'Let me just go save all these other people,' and then guess who gets the last straw? You, again. Be the change you want to see in the world, and then people can see it and decide to come along, or not, but it's not our responsibility to drag anyone. Shawn Stevenson: Yeah I can't state this enough that one of the most pressing and terrible things you can do to yourself with your life energy is to try to get people to come along that don't want to come. Right? Shawn Stevenson: So you have to have the audacity to let people be, you know? Let people be who they are. And again, this gets back to that- what you stated earlier of that idea of everything is okay. Shawn Stevenson: You know? It's okay how it is. This is, and it's okay. Christine Hassler: And it's really hard with family because- I'm sure you see this a lot with your community too, there's a lot of people that feel like black sheeps in their family. Like they're the only one kind of waking up. And when it's your own family, even when it comes to like what they're eating, and health, and you go home and you're like, 'Please don't eat that. Like it's loaded with this, and that, and that.' And they just keep doing it. And we have to- again it's back to that give them the dignity of their process. Loving someone isn't changing them. Loving someone is accepting them for where they are, being willing to be open and vulnerable if they come to you, and just being the light, being the model of health, being the best version of you. I truly believe that's the best gift we can give anyone we love or the world in general, is be the best version of yourself. And you only have so much energetic real estate, and if you're investing too much of it in changing other people, then you're not getting the high ROI on you because there's nothing left, and how can you be the best version of yourself if your energy is scattered trying to save all these other people? Shawn Stevenson: Oh my goodness. Thank you for sharing that because just even hearing that in a different note, a different tenor for people, that this is really- life is not all about you, but it is. You know? Like it starts with you. Christine Hassler: It is, and I view it as being self-honoring, you know? I am my biggest priority, and that may sound selfish, however when I'm not my biggest priority, my health suffers, I can't help as many people, I can't do the work I want to do, my mood suffers, I'm more irritable. Like everything suffers. And I love- you know Lisa Nichols? Shawn Stevenson: Of course, yeah she was on the show. Christine Hassler: Maybe she said this on the show, I'll repeat it because it's just so good, she has so many just like- she just throws down such wisdom. She always says, 'I will only give to you from my saucer.' So imagine a teacup, right? And that means her cup has to be full, and she will give to you from the overflow. And I first heard her say that, I'm like, 'That is brilliant, and that's the way it needs to be.' Because when we have a full cup and we can give from the overflow, then it's not depleting, it's just love. It just radiates off of us. Shawn Stevenson: I love it. Christine Hassler: And that's when you can just walk into a room- like I've had the experience where someone just walks into a room and they're so full of love for themselves, and they're just living into their fullest potential and joy, and it just fills me up. Now something else can happen when someone like that walks in the room. Sometimes we can feel jealousy or comparison. Christine Hassler: Sometimes. But here's why that's good, here's what we can do with jealousy and comparison, because a lot of people will just try to stop feeling jealous or stop comparing just by like, 'Just don't do it,' and that doesn't work. It's like saying try to not think of a pink pig. It's all you're going to think about. Shawn Stevenson: Right, that pink pig right there is a part of our show. Christine Hassler: Yeah, so whenever you're feeling jealous or comparing yourself to someone, it's a positive projection. So we've heard that if you really irritate me in some way, then it's something in me that I don't like about myself that you're triggering. Right? That's a negative projection. But there's also something of a positive projection. So if you see someone that you're like jealous of, or comparing yourself to, you're spotting something in them that you have inside of you that you're not owning, that you're not stepping into, that you're not realizing. So that's how we can use jealousy and comparison as a way to remind ourselves what we need to see about ourselves. Shawn Stevenson: I love that reframing, you know? That's one of the things that- I definitely wouldn't see myself as somebody who gets peanut butter and jealous like that. Christine Hassler: I love that! Peanut butter and jealous. Shawn Stevenson: But sometimes, if I did have a certain feeling of like something might have been accomplished that I know that I could've done, but it's immediately like more of a feeling of jealousy. chose to reframe it and to start to celebrate people. When I see that, I'm just so grateful and I'm just like, 'Me too.' You know, like whatever that individual might have done, like they're paving a way for me and there's enough to go around. Christine Hassler: 'Whoa, like maybe I need to give myself some more attaboy's.' Like we need that. And that's- with a lot of my male clients this comes up, a lot of men didn't have fathers who were like, 'I am so proud of you. I am so proud of you, Shawn. You did well.' Even just for little things. And so that's a compensatory strategy for a lot of men, is that 'prove it,' and just wanting to feel that validation. So it's so important for all people, especially men, to really do that. Like, 'I am proud of you. You did good.' Even just for the littlest things, because we need that. We need that. Shawn Stevenson: Thank you again for giving people permission to do that. There's nothing wrong with that. Christine Hassler: There's nothing wrong. There's nothing wrong. It is not airing it. It is not selfish. Shawn Stevenson: That's what we're programmed to believe is like doing those things- it's vanity, you're self-righteous. Christine Hassler: No, arrogant is a 'better than.' Arrogant is when we think we're better. Arrogant has judgment to it. Arrogance has an againstness towards others. 'I'm better than in some way.' Or, 'I deserve it just because I'm better,' or whatever it is. Acceptance, self-confidence, celebration, like that is all incredibly healthy. I mean look at how- you have children. Do you see how important it is to acknowledge them and tell them you're proud of them? Shawn Stevenson: Oh yeah, it's the most important thing. Christine Hassler: Right, it's positive reinforcement. How do we- if we want to stop- okay so back to sabotaging. If you want to stop sabotaging yourself, you've got to start acknowledging yourself, because it's positive reinforcement that creates repetitive good behavior. I always tell women like, 'Don't nitpick men. Like nitpicking, and nitpicking, and nitpicking, and telling them all the things they're doing wrong will not get good results.' However if you validate the things you like over, and over, and over again, you'll get more of that. And that's how it works inside ourselves, too. The more we validate what we're doing that we love, and how we're proud of ourselves, the more we stop sabotaging ourselves because we're reinforcing that behavior. Shawn Stevenson: Exactly. When we talked earlier about how your brain creates those neural nets, and you're lying down more and more myelin with these negative behaviors, what we know with research now is that it's not easy to break those apart. The way to go about it is building a new pathway, and that takes work. Shawn Stevenson: It takes that repetitive thing of acknowledging yourself. And I can be- just to be honest, this was not easy for me. You know? Especially to acknowledge that I did something powerful or amazing, like literally can change the course of the world and the conversation like in this health space with the conversation of sleep. But it took some work, and also having good people around me to point it to me, because still like I want to feel that as a man just like, 'I'm really proud of you for doing that.' Like that's what we're all really looking for, but at the end of the day, like if it comes from within, if you can understand just how valuable you are, you start to reflect- like you said, come into the room and you literally are a different energy that you provide to everybody else. Christine Hassler: You are, and you can't just think it. You can't just do affirmations in your head. You've got to feel it. You've got to really sink in and feel the pride, or feel the self-acceptance, or feel whatever it is. Just the thought alone won't break that neural net. We need the thought and the feeling together, and the behavior, to start creating those new pathways. Shawn Stevenson: I love it. Love it. One other thing I want to ask you- there are so many things I want to ask you about. But another thing that I wanted to ask you about is a lot of folks are looking for their passion, right? Right? So let's talk about that, because even in the context of work, we think that that has to be our passion. Like, 'If I find my passion for the job I'm doing, then I'll do it.' So let's talk about that. Christine Hassler: Yeah, I don't think our passion has to be in our career. I think it can exist in a lot of ways. It's really just about finding something that lights you up or brings you joy, and that could be painting, you know? It's amazing that we live in a time where there are so many entrepreneurs, and there are so many people that are doing what they love. But we also still need people that work as servers in restaurants, and in the government, and at the post office, and in retail, and in Corporate America, and all these things. Like there are so many- we always think we have to change the outside to change the inside, and that's so not true, you know? Spiritual definition of a miracle is a change in perception. So you could become passionate about your job tomorrow by changing the way you look at it, and changing how you think about what you can bring to it, or how you can communicate differently, or ideas you can bring to it. So don't think just changing the external conditions is going to all of a sudden like deliver your passion. It's really about changing your perception and changing your lens. So that's the first thing, is you can be passionate about whatever you're doing tomorrow. He's like, 'Oh I've got to break down all these rocks, it's so hard,' and he's just slugging away. And the man who's walking keeps walking, he sees another man doing the same thing with a sledgehammer, just breaking down these rocks, rocks, rocks. And again the passerby goes to this man, 'What are you doing?' And the man stands up all proud and he says, 'I am building a cathedral.' The two men were working on the same thing, but how they related to it was completely different. So that's the first thing, like you don't have to change your job. The second thing is- I guess that was the third thing. The first thing was your passion doesn't have to be your job. Second thing is you can be passionate in your current job. And the third thing is, back to what we were saying before, often it comes from your suffering. So maybe instead of looking for the job, maybe do some more work on you. Maybe actually go back- I have something in 'The Expectation Hangover' where you do- it's on the spiritual level and you take on the role of the seeker, and you go back and do like a life lesson inventory, and you start to look at certain themes and situations in your life. And we all have a soul path, we all have certain lessons and certain journeys we're here to learn, and often it's from those lessons and from those challenges that our calling is revealed. Because from my point of view, when we talk about passion and we talk about calling, it comes from something- some kind of wisdom, something that we've gotten to the other side of. So look back to what your most challenging times were. Look back to what makes you really angry in life, like causes you want to fight for, and oftentimes that's where you're going to find your passion. Shawn Stevenson: I agree 1,000,000,000%. This was the best. Those three levels. This has been incredibly enlightening, and I've got one final question for you. Christine Hassler: Oh self-compassion and being the change I want to see in the world. Truly. I really want to set the model that like as humans, it's okay that we go through contrast, you know? It's okay that we don't have it all together all the time, and just to bring compassion to the human experience. The human experience is- it can be rough, you know? And doing what I do, I've heard of lot. I've heard a lot of people that have had just incredible journeys, but I think it's such an exciting time of consciousness right now because we're really, really, really shifting. So if I can model what compassion looks like, being with ourselves in a loving, gentle, forgiving way, and model for people how to have a healthy relationship with ourselves so that we can go out and make the impact we're here to make, and be the light in the world, that would be something I'd love to model. Shawn Stevenson: Christine, you're amazing. Thank you so much for sharing your gift. Shawn Stevenson: You know like I said guys, make sure to check out her podcast as well. We were listening in the drive on the way in, and just you are so good at what you do, and you ask great questions. You know, this is very different because I'm interviewing you, but usually you're there as a coach, and working with people, and asking great questions, and helping to find the solutions that are already in us. And you're a true talent, and a really great spirit, so thank you so much. Christine Hassler: Oh it's truly an honor and a joy to be here. Thank you so much! Shawn Stevenson: My pleasure. My pleasure. 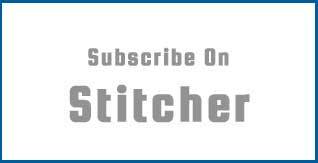 Can you let everybody know where they can find your podcast-? 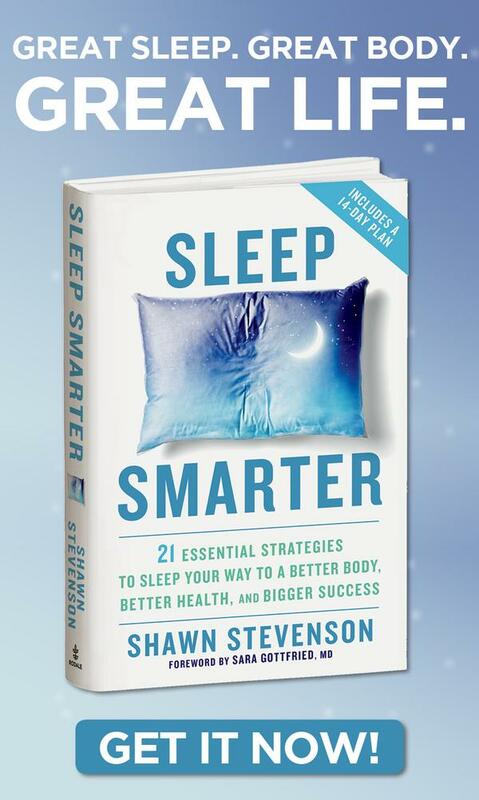 Shawn Stevenson: Your book, and find you online? Christine Hassler: Yeah so Over It and On With It is the podcast, like you were saying I coach people live on the air. It's I don't know anything about them, it's unedited, you get a window into a coaching session which is a great way to learn. And 'The Expectation Hangover' you can find at all the places; Amazon, bookstores, all that. I'm big on Instagram, Christine Hassler. Facebook and Twitter, those are the- and YouTube. And then www.ChristineHassler.com is where you can find me. Shawn Stevenson: Everybody, Christine Hassler. Thank you so much for tuning into the show today. I hope you got a lot of value out of this. Oh my goodness, so many nuggets of wisdom here. And again, when it really boils down to it, it only works if you work it. Alright? These insights don't matter much unless we do something with it. And we've just added to that superhero utility belt. And one of the big takeaways for me today was acceptance, you know? I think that it's the platform from which we could actually make a solid jump. It's kind of like those memes that you see out there, like those little funny clips where somebody tries to jump and it's like the ground moves, or like they're jumping off a table and it collapses. If you don't have acceptance, you don't have a sturdy surface to jump to your next level. Alright? So it's really about accepting what is or you might end up on a meme, alright? You might end up passed around the Internet or something else random. But the bottom line is this, you know at the end of the day, I think it was so valuable when she talked about giving from your overflow. I truly, truly do believe this. If we're going to be able to really be of service in the lives of the people we care about, we have to make sure that we're taking care of ourselves first. Because what happens, not even with the overflow, but when you start to get deeper and deeper into that cup, you start to become more thrifty in potentially negative ways in how you use your energy, and you start cutting corners in how you're serving and caring for everybody else. We don't even want to get to that place. And I know you've done it before, I've done it before, so we want to make sure that we're filling up our cup giving from that overflow, from our saucer, and there can be so much on that saucer by the way. Alright? I've got a pretty like dope saucer right now because I'm continuing to fill up my own cup, and I really am inspired to drive the people in my life to do the same thing. Like I don't want- and I've talked about this as well on the show, and also on social media, but I'm very, very adamant about making sure my wife is taking care of herself because I know that when here cup is filled, I get more. Alright? I get more love, I get all the stuff that I want, so I try to take things off of her plate and make sure that she's taking care of herself as well. And she does the same for me in the 1% of the time when I don't do it. Alright? 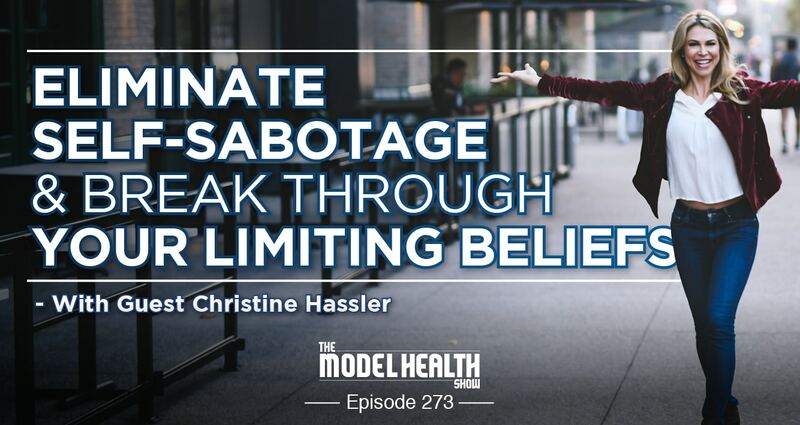 But bottom line is again, give from your overflow, practice acceptance, and make sure to check out Christine Hassler because she is the bomb dot com. Everybody, again I appreciate you immensely. We've got some incredible episodes, incredible guests coming up, and I'm telling you it's going to blow your mind, so make sure to stay tuned. Ep 273 w Christine Hassler was incredible! Crazy powerful. To be honest I want more of her and this most important subject. One episode isn’t enough . Please Shawn make it happen. Or do your own with concrete ways to prevent your subconscious from wrecking your life!